The Easter holiday is just around the corner, and with it comes the opportunity for family and friends to feast together. If you’re looking for a wine to fill your fridge for the social occasions that you’re holding or have been invited to, then look no further than Fairbourne premium hand-picked Marlborough Sauvignon Blanc. Fairbourne Premium Marlborough Sauvignon Blanc, is extremely versatile. This means you can serve it throughout your entire Easter feast. It’s a wonderful apéritif to serve with canapés, especially seafood and salty cheese inspired nibbles. It will certainly honour a smoked salmon starter, it pairs beautifully with white meats like chicken, turkey, goose and pork, and can accompany the cheese course… Goat cheese, a delicious Chevre, and Sauvignon Blanc, is a match made in heaven. You’ll be invited back! At Fairbourne, as specialist producers of premium hand-picked Marlborough Sauvignon Blanc we’re clearly in love with the vibrant and expressive fruit flavours this grape varietal yields. It seems that the Brits agree with us! A survey of 400,000 people, found that Sauvignon Blanc wine is the top choice of tipple in every British town, city and county, bar one… So you can guarantee that if you gift your host a bottle of Fairbourne, you’ll be invited back. A wine for all seasons. If you’re reading this in the Northern hemisphere you’ll be hoping for a little spring sunshine over the Easter holidays. And if you’re reading this in the Southern hemisphere we may be lucky enough to enjoy a few of those perfect early autumn/late summer days. But wherever you’re drinking your Sauvignon Blanc you can be sure that if you choose Fairbourne your favourite varietal will transcend all seasons. Head to your local Majestic Wines store in the UK to find Fairbourne Sauvignon Blanc. We’re pleased to know we’re not alone with this philosophy, and in fact, that a special day was created in the year 2000 to ensure that special bottles of wine, champagne and spirits are actually enjoyed! Open That Bottle Night was founded by ‘Tastings’ columnists Dorothy J. Gaiter and John Brecher; and this year it takes place on 24th February 2018. Read all about the day HERE. If you have a special bottle of Fairbourne set aside, and decide that the last February in Saturday is a good time to unscrew the cap here are our four steps to enjoyment central! Remember to select the correct vessel! Not all wine glasses are created equal. When selecting your glassware it’s important to consider that glass shape can provide a unique experience for drinking your wine. Check out an earlier blog post with more information on this. Be sure to serve your Fairbourne Sauvignon Blanc at the optimum temperature. Chilling our Fairbourne Marlborough Sauvignon Blanc to serve between 14 and 16°C (52 and 61°F) will delight your taste buds! Serve with food… Fairbourne Marlborough Sauvignon Blanc is extremely versatile. It has the capacity to honour simple seafood, such as, fresh oysters and steamed mussels, as well as salmon. Additionally, it pairs with white meats like chicken and pork. Goat cheese, a delicious Chevre, and Sauvignon Blanc, is a match made in heaven. The wine’s vibrant flavors also compliment spicy and ethnic cuisines. Serve with friends… The original premise of Open That Bottle Night was that the annual occasion should motivate friends and family to connect with each other over a bottle, and create great memories! Still in need of a special bottle to mark this day of the year? Head to your local Majestic Wines store in the UK to find Fairbourne Sauvignon Blanc. If you’re in New Zealand order HERE. We know it’s customary at this time of year to make a few resolutions, but at Fairbourne, we think those New Year’s pledges should be less about abstaining from the things you enjoy, and more about appreciating those things even more, thus ensuring your 2018 is a happy one! So with that in mind, we have three New Year’s Resolutions to help you relish every sip of your Marlborough Sauvignon Blanc. Resolve to ignore dry January – We’ve heard it’s become a thing…! No matter whether you’re in the Southern or Northern hemisphere January is a tricky time of year to go teetotal! If you’re in the Southern hemisphere you are mid-summer and with that comes all the social get-togethers of the season. If you’re in the Northern hemisphere, January is generally cold, dark and miserable, and taking away the treat of a tipple or two just makes it more melancholy! So rather than abstain altogether, choose to drink better and embrace quality over quantity, by selecting the very best Sauvignon Blanc. At Fairbourne we hand-pick our grapes from a single vineyard. Our wine is supple across the palate with a generous mouth-feel, the vibrant and expressive fruit flavours lead to a smooth dry finish. Fairbourne consistently achieves five-star reviews. Resolve to try new food and wine pairings – We believe that good wine is made to be drunk with good food! Fairbourne Marlborough Sauvignon Blanc is extremely versatile. While it’s true that it pairs beautifully with seafood, fresh oysters, steamed mussels, and salmon. It also pairs with white meats like chicken and pork, and even if these are served with herb sauces or rubs the Sauvignon Blanc holds it own. The wine’s vibrant flavors also compliment spicy and ethnic cuisines. 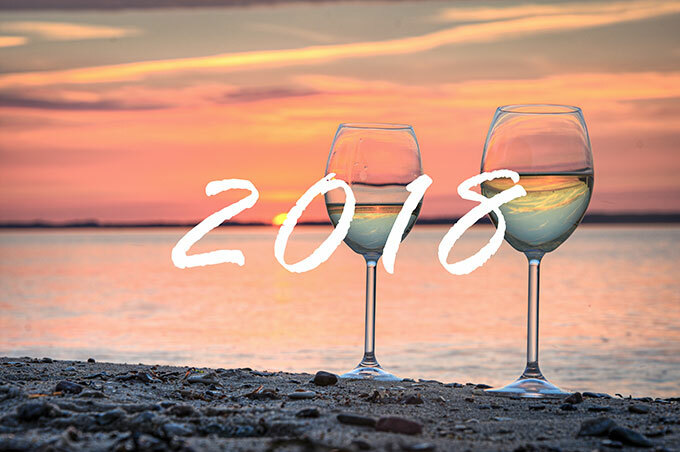 Resolve to let your wine evolve – Unlike many Sauvignon Blanc wines, Fairbourne 2016 will be as good, if not better by the end of this year, the year after, and the year after that! Raymond Chan recently re-reviewed our Fairbourne 13, it kept its five-star rating, and Raymond said it was… “better with bottle age.” Buy a case of Fairbourne, and drink a bottle on the same day each year for the next six years to see how gracefully the complex layers mature. Christmas is just around the corner, and that means, if you haven’t done so already, it’s time to start thinking about your Christmas shopping. Whether you’re buying for family, friends or work colleagues we have no doubt that among your intended recipients there are sure to be some wine lovers…. So with that in mind, we’ve done the research so you don’t have to… Here is the Fairbourne Christmas gift guide for Wine Lovers! For the lover of the great outdoors – Why is it that wine always tastes even better when drunk outside, enjoying a view…? Roll on summer…. The Tovolo Steady Sticks Wine Bottle Holder is the perfect way to balance wine and avoid spillages whilst camping, beaching, festival-going or simply enjoying the garden. Buy from Amazon. For the lounger – We have this fabulous glass holder that attaches to our lounger… You can by them in Australia, so if you know any wine loungers living there, order from Anaconda. For the entertainer – For anyone who enjoys hosting parties, complete with party games, this Wine Tasting Party Game makes a great gift. Buy from Amazon. For the perfectionist – Perfect wine tastes better in the perfect glass; find out why HERE. For a good selection of white wine glasses head to John Lewis. For the bottle half full person – If you know somebody who frequently has a half drunk bottle of wine in their fridge, gift them wine condoms! Yes they’re a thing! Described as the world’s most functional wine bottle stopper, the shrink-to-fit technology allows them to slip snugly over almost any bottle and create a water-tight seal. Because they add no extra height to your bottle, it won’t need to be balanced at a precarious angle in the fridge. Buy from FireBox. For the Connoisseur – If you know a Sauvignon Blanc lover, then choose premium Marlborough Sauvignon Blanc from Fairbourne. You’ll be selecting the best for the best! At Fairbourne we hand-pick our grapes from a single vineyard. Our wine is supple across the palate with a generous mouth-feel, the vibrant and expressive fruit flavours lead to a smooth dry finish. Fairbourne consistently achieves five star reviews. Head to your local Majestic Wines store in the UK to find Fairbourne Sauvignon Blanc. 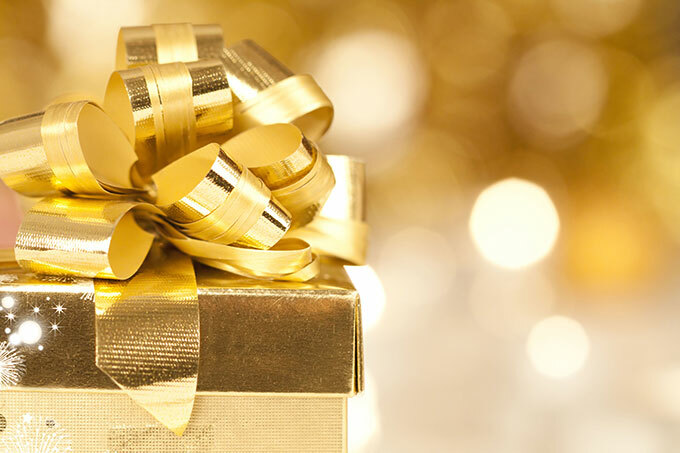 If you’re shopping within New Zealand we can ship a single luxury gift box or a twin luxury gift box on your behalf. Order HERE. One chicken, one bottle of wine, two mid-week meals. The evenings are darker and the temperatures cooler… Winter has well and truly arrived in the U.K. and with it comes the desire to hunker down mid-week with some good old-fashioned comfort food, a glass of wine and Blue Planet on catch up! 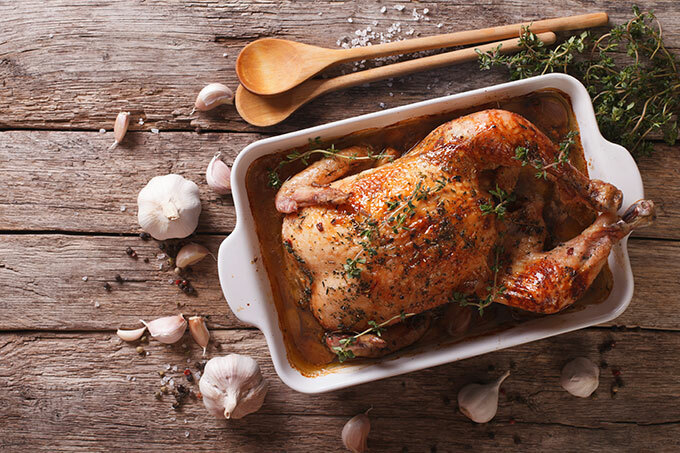 Nothing can be more comforting than roast chicken and veggies… That’s why we believe that Monday should be the new Sunday! Okay, we understand that you might not want to cook a full roast meal on a Monday evening after work, but in all honesty, if you throw your bird in the oven when you walk in the door, by the time you’ve changed into your civvies, sorted your to-do list for the next day and poured a glass of Fairbourne Sauvignon Blanc, your chicken will be almost cooked. Make things easier for yourself… Substitute roast potatoes for creamy, mashed spuds and stir fry some seasonal veggies to keep things simple. A lovely mustardy bake with roast chicken and broccoli. Warm things up with this spicy chicken and chorizo jambalaya. These cheesy chicken crispbakes are easy to make mid-week, serve with a simple side salad. Roast some Kumara and fill them with a tasty, creamy chicken mixture. View the recipe here. Get double thrifty by stripping the meat from your chicken and boiling up the carcass to make your own stock. Then make some heartwarming roast chicken soup. All of these meals need just one extra ingredient to make them perfect, a chilled glass of Fairbourne Marlborough Sauvignon Blanc. You may even manage to make one bottle stretch to two nights! Head to your local Majestic Wines store in the UK to find yours.